On 31 July, the shale gas company INEOS, which has exploration licences across North and South Yorkshire, the East Midlands and Cheshire, obtained an interim injunction preventing ‘persons unknown’ from conduct that might constitute “harassment” against it or from committing a range of offences including obstruction of the highway. The court order states that anyone disobeying the injunction could face a summons for contempt of court and could face imprisonment, a fine or the seizure of assets. Next week, on 12 September, INEOS returns to court to turn its interim injunction into a permanent one. Injunctions of this kind normally focus on particular activities at an individual location, which trigger a decision to seek restraining action through the courts. What has caused widespread alarm about the INEOS injunction, however, is its sheer scale and the lack of specific detail about what effect it will have on the freedom to protest. Although the company has exploration licences covering a large swathe of the country, there are currently no active INEOS shale gas drilling sites and therefore no direct action protests, only lobbying by local campaigners. However, amongst other things the injunction refers to harassment by ‘persons unknown’ without saying anything about the source or extent of this alleged behaviour. An INEOS press release full of hyperbole does, however, list “a long history” of activities by “militant activists” that it suggests other companies has been subjected to, although it has not experienced them itself and the vast majority of anti-fracking campaigners would strongly challenge these allegations. What this seems to amount to, then, is a declaration of war on the anti-fracking movement by the largest and most aggressive fracking company, on behalf of the wider onshore oil and gas industry. If it succeeds on 12 September, this may encourage other companies to consider using the same ‘lawfare‘ tactics. However, INEOS has its own history, in its case for using extravagant language to attack and delegitimatise everyday campaigning activities. In June 2017, it described the decision of Derbyshire schools to simply reconsider their relationship with an INEOS sponsored children’s fun run as “bully boy tactics” by anti-fracking groups who “have threatened disruption” and who allegedly “bully teachers, governors and young children”. All this because of concerns raised in a few letters from parents. This matters because although the injunction seems to implicitly restrict conduct only to anything that might impede INEOS’ exploration activities, it appears to apply to any site, office, partner, agent or subcontractor and almost any part of any of NEOS’ business anywhere in the country. The injunction also refers to a range of ‘unlawful activity’ that is not necessarily a criminal offence. Specifically it mentions “slow walking” of lorries, which is not inherently unlawful unless it involves unreasonable obstruction without lawful authority or excuse. In some parts of the country, some degree of slow walking protest has been tolerated and in others areas it has been clamped down on immediately by the police, but this has always been contested. In many instances, campaigners arrested for obstructing the highway have either not faced prosecution or have been acquitted. In any event, the injunction’s restriction on causing “anything to be done on a road in circumstances that would be obvious to a reasonable person to be dangerous’” could mean almost anything. The interim court order also includes the warning, used previously against the protest camp at Leith Hill in Surrey by Europa Oil & Gas, that anyone who helps others to breach the terms of the order may also face the threat of facing a summons for contempt of court. What ‘helping others’ means, however, is unclear. Just as it was intended to, it has caused consternation amongst the anti-fracking movement’s wider networks of support for Protector Camps, often local people who raise funds, provide food and resources or show up to provide solidarity for those on the front line protesting at drilling sites but do not take part in direct action themselves. After the wild accusations against them earlier this summer, the parents in Derbyshire who objected to their schools taking INEOS money might wonder too whether, in future, writing a letter could lead to allegations of “intimidation” or “harassment” against them. This lack of clarity represents a potentially significant barrier to people feeling able to choose whether to exercise their rights to freedom of assembly. Many will have an entirely reasonable fear that they might suddenly find themselves dragged into the orbit of a extremely broad and vague injunction. 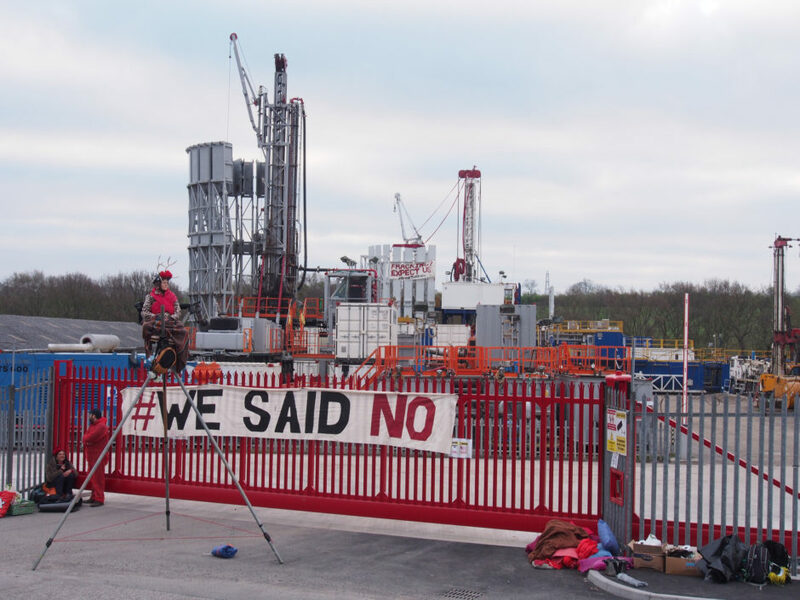 In a statement to the website Drill or Drop, INEOS Shale’s operations director, Tom Pickering, said that “peaceful protests with placards” and “making opinion and feeling on the issue known” are acceptable ways of exercising rights to freedom of assembly and expression. However protests are, by their very nature, disruptive. 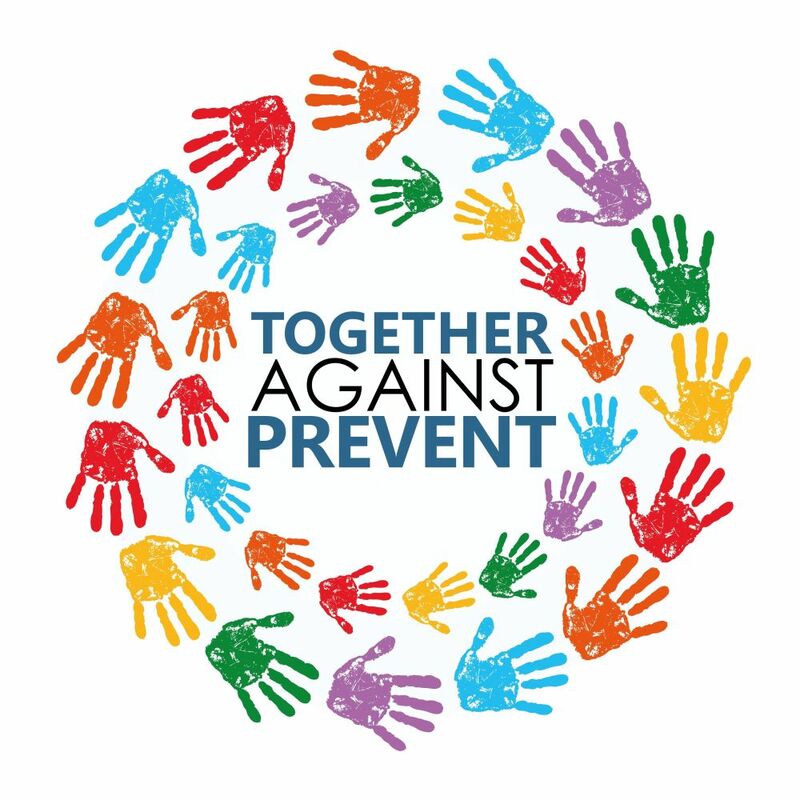 International guidelines protecting the right to freedom of assembly without interference are absolutely clear: “peaceful protest” includes “activities that annoy or give offence, or even conduct that temporarily impedes or obstructions the activities of others”. It is worth remembering too that the methods of protest Tom Pickering talked of as somehow ‘reasonable’ were used successfully in Lancashire, only for central government to overrule local democracy and impose fracking on the county. The fracking industry has no business deciding on the limits of what constitutes “acceptable” protest, particularly when no-one can even see the strength of the evidence of “harassment” or “intimidation” INEOS has given the court. Anyone want to see this must first formally declare themselves a defendant in the case and hand over their personal details to the company’s lawyers. Netpol’s efforts to obtain the papers have been repeatedly blocked. This is why resisting this injunction is so important. At least one campaigner has come forward to oppose it in court and Netpol is working with him and solicitors Bhatt Murphy to support this legal challenge.